A man has been jailed for more than three years after being caught with drugs in Aylesbury. 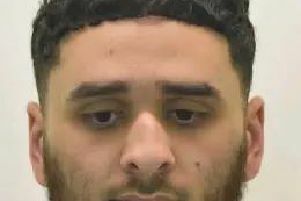 Billy Balcombe, 20, of Abinger Grove, Lewisham, London, was sentenced to three years and two months in prison after being found guilty of possessing a class A drug with intent to supply. On January 13 2016 at around midday officers observed what they believed to be a drug deal taking place from a car in Prebendal Farm, Aylesbury. They followed the car as it drove into Buckingham Road. Just prior to it being stopped, Balcombe, who was the front seat passenger, threw several cocaine wraps out of the car. He was arrested following the incident and charged the next day. Speaking following the sentencing, investigating officer Det Sgt Nick Mullen said: “I am delighted with the conviction and the length of sentence imposed. “We are determined in convincing drug dealers travelling into Aylesbury Vale, that they are not welcome.